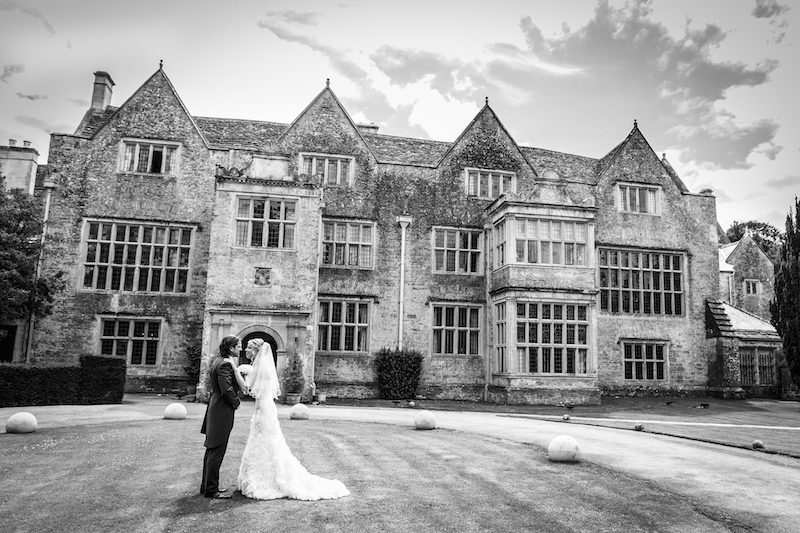 Melanie and James are a delightful couple from Guildford who were looking for a party venue for their wedding where they could enjoy the ultimate elegance of partying for the whole weekend with their friends and family. I first met Melanie and James in a swanky hotel in town where we talked about love, life and most importantly venues for weddings. When it comes to matters of the heart, especially relating to the love of a venue, it was important that we found the perfect fit. We searched high and low to find their dream location which was a country house with a swimming pool, jacuzzi, sauna, rolling fields, a lake, tennis courts, an indoor nightclub, a casino in the cellar, a touch glamour, theatre and pizzaz. As if by magic we stumbled across North Cadbury Court a unique, luxury stately home in Somerset set within a 1,500 acre estate. Owned by the Montgomery family, world famous for their Cheddar cheese, the house dated back more than 700 years and has been stunningly renovated. 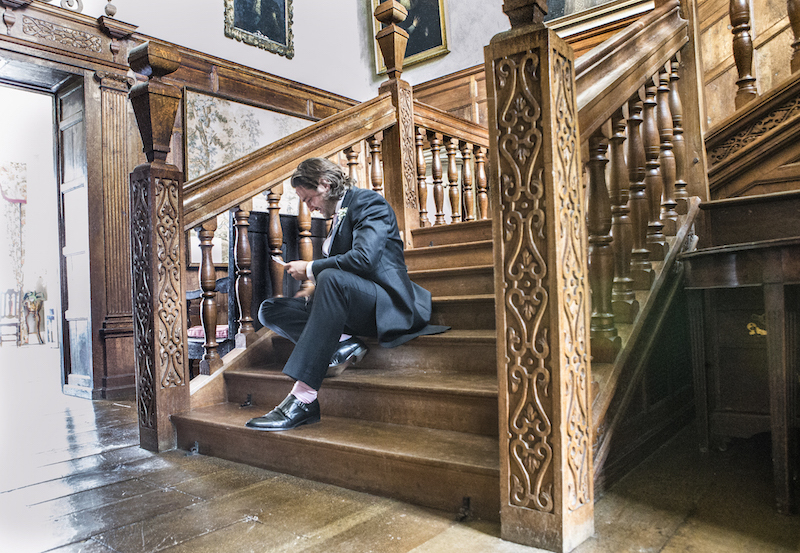 All of the gorgeous photo’s in this blog piece were captured by the super talented Martin Hill. The weekend had already begun with a relaxed party on the Friday night. Melanie and James’s friends arrived to enjoy games on the lawn, a dip in the pool and a wonderful Hog Roast barbecue in the summer sunshine. 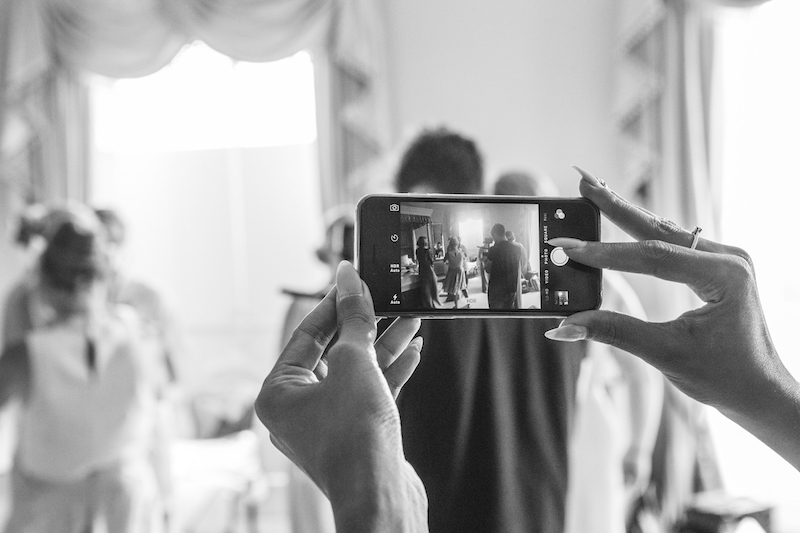 Purely Events were busy helping with the preparations for the following day which started at around 8.00am when the wonderful Kaz Fernando and her assistant arrived to make our bridal party look fabulous. 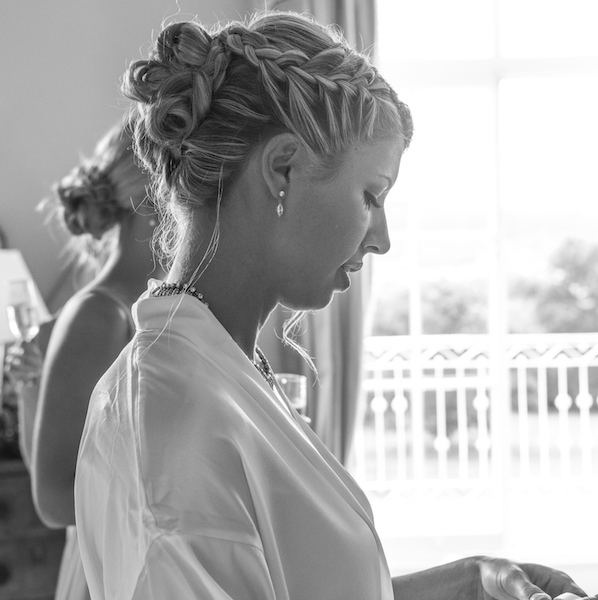 Kaz’s calm and professional manner makes her one of the best make up artists to have on your wedding day and she really created a wonderful look for Melanie and her bridesmaids. 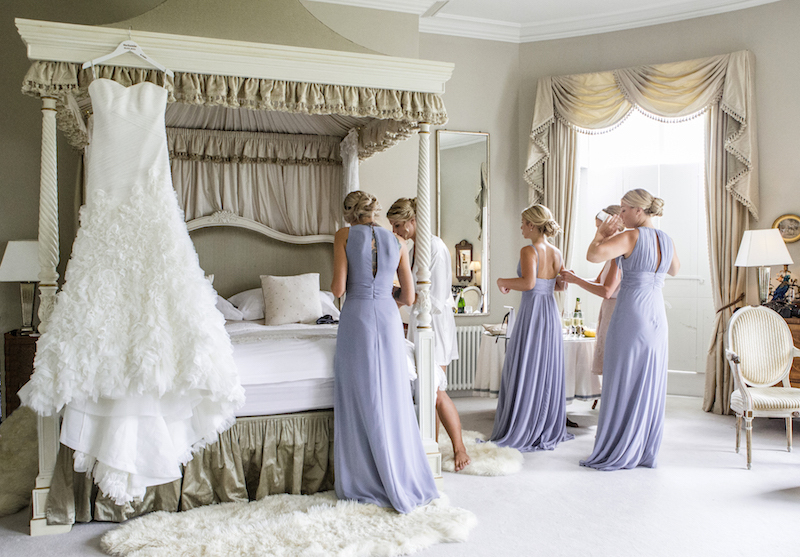 The bridal room was filled full of excitement and emotion for the day that lay ahead and with a year of organising finally all of these wonderful plans would come to fruition. After many days trying on dresses we found Melanie’s dress from The Wedding Dress Shop in Wimbledon. The name of her dress was Gloria from Enzoani. She looked simply stunning from head to toe. Melanie’s five bridesmaids were dressed in Jim Helm and sourced from the wonderful Miss Bush located in Ripley, Surrey. 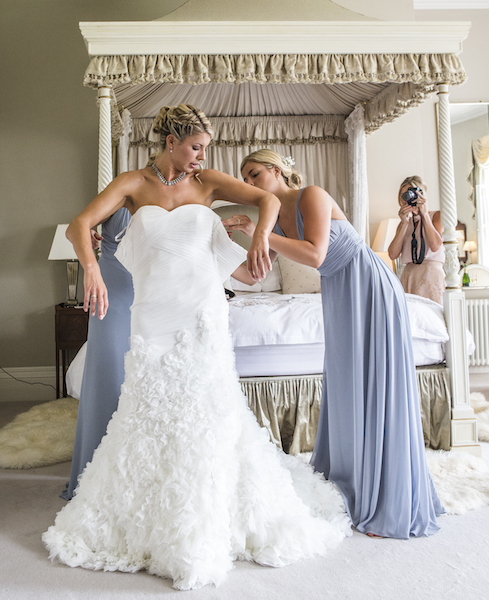 Purely Events introduced Melanie to Gillian Million she is an Atelier of the most exquisite and luxurious wedding accessories all designed to order. Gillian creates bespoke pieces for brides all over the world including celebrity and royal clients. Melanie purchased a wonderful vintage necklace and matching earrings which polished off to perfection her glamorous, timeless and elegant look for her wedding day. 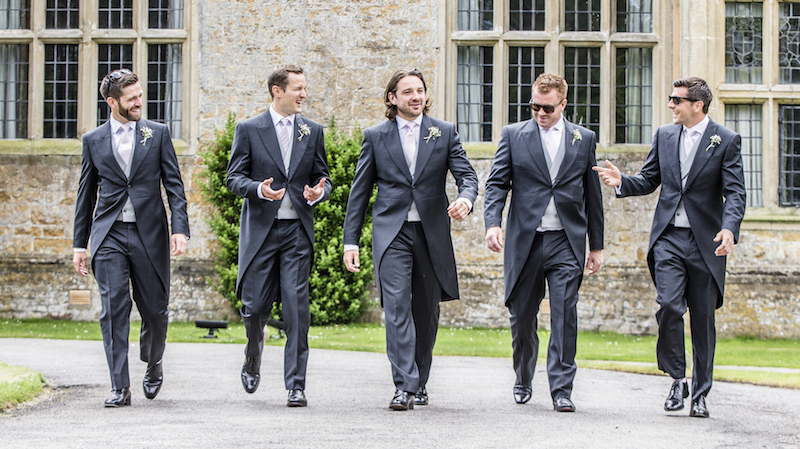 James and his groomsmen looked immaculate in their matching attire which Purely Events assisted in sourcing. Before the wedding the guys had a quick pint at the pub. On their return Martin Hill captured this wonderful shot of them looking relaxed and rather dapper. Melanie wanted to give a personal note to James before they sealed the deal at the church. No one knew what she wrote but from James’s reaction it was truly heartfelt. The men made their way to church to greet the awaiting guests. 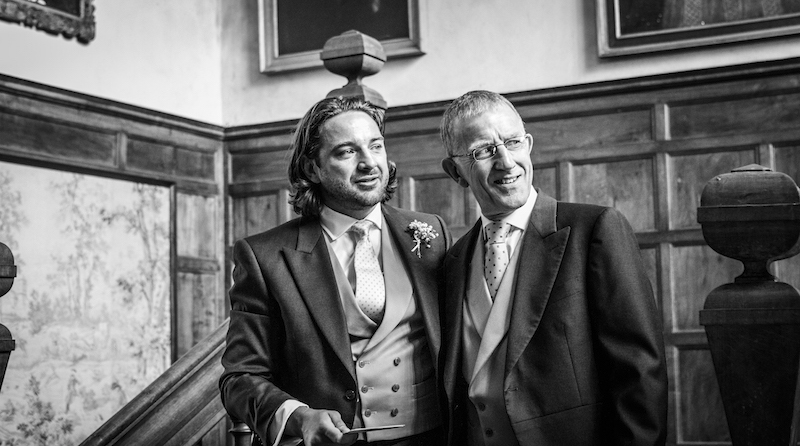 A short while later Phil from Purely Events escorted the mother of the bride to the church. It is tradition that the brides mother is to be the last to enter the church and escorted to her seat before the bride makes her big entrance. Filled with excitement and anticipation Melanie and her bridesmaids made their way across to St Michael’s Church located next door to North Cadbury Court. The church dates back to 1417. It is a Grade I listed building and is set within the quant and idyllic village of North Cadbury. The stained glass windows provided a stunning backdrop to the ceremony and allowed the light to shine brightly over the couple. To compliment the spectacular venue and church Melanie wanted to create an understated but glamorous feel. Her vision was always to have white floral displays. Sabine Darrall from G-Lily flowers brought this vision alive with her amazing attention to detail and relentless efforts to find the right flowers and accessories for this wedding. The bridesmaids had bouquets of gypsophila and Melanie bouquet consisted of white peonies. All of the bouquets were tied together using white gros grain ribbon. The church’s aisle was framed with stunning white boxes of hydrangeas and the two large pedestals were breathtakingly beautiful filled with white hydrangeas, gypsophila and white roses. (We managed to re-use the pedestals by moving them from the church after the service into the main wedding breakfast room).